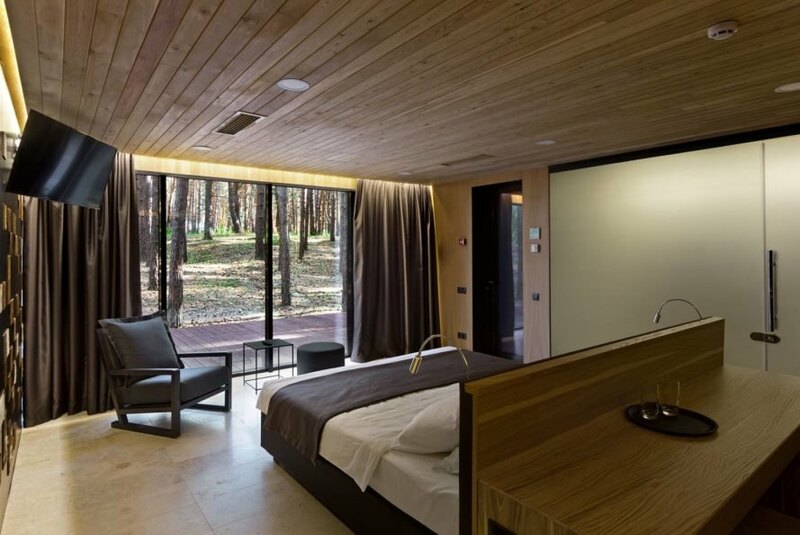 Deep in a forested area of Poltava, Ukraine, sits a charming deep-green hospitality complex where city people can unwind. Relax Park Verholy already boasts a suite of designer guesthouses, and their latest addition, Guest Houses 2.0, was designed by YOD Studio. These new cabins, which feature surprisingly modern interiors, are clad in vertical strips of wood to help blend in with the surrounding forest. Take a closer look after the jump. 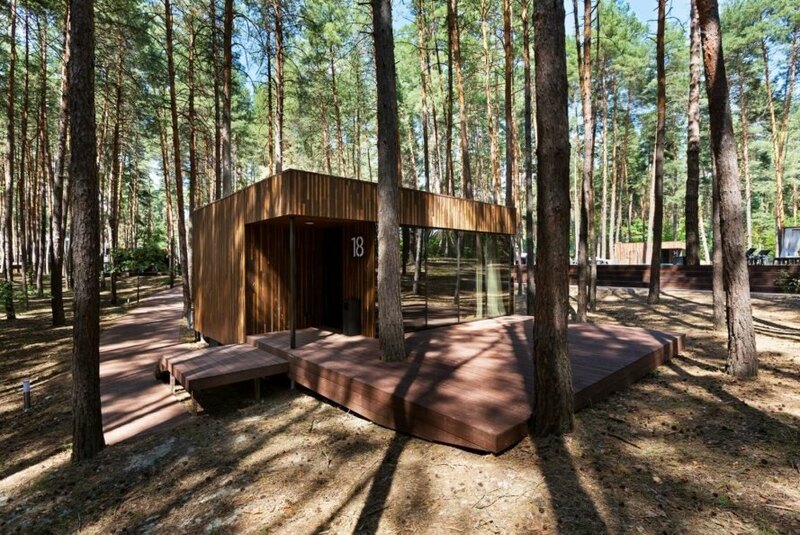 Clad in vertical strips of different-shades, the cabins blend with the pine forest without disrupting its beauty. Each cabin was prefabricated using lightweight materials and stands on stilts to protect the forest’s existing root system. An open-plan design, natural materials and minimalist palette ensure peaceful interiors that invite guests to relax. Large glazed doors frame the forest, and when open, welcoming woodland scents indoors. The bathroom area is enclosed with a two-way, floor-to-ceiling glass wall that is dark on the inside for privacy, and frosted on the outside to allow natural light to permeate the interiors. The cabins are clad in vertical wooden strips to blend in with the surroundings. Each cabin has its own platform. Guest House 2.0 by YOD Studio.